If you are unable to visit our museum, we can bring our 80s classroom to you! Our schools outreach programme is designed to address key parts of the computing curriculum without the need of arranging expensive transport, cover staff and permissions. 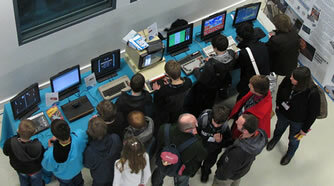 We will bring a set of 15 BBC Micro computers complete with the original monitors and programming guides. These can be set-up in a classroom at your school for the day where you can bring in a group of up to 30 students (2 sharing) for each lesson. 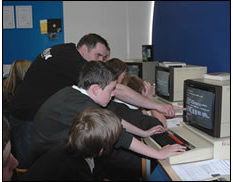 The workshop is based around coding in BASIC on the BBC Micro - Using original 1980s BBC Micro computers, students will gain an understanding of computer programming. Students are taught to write and understand simple computer programs in BASIC, one of the most helpful coding languages ever created. Crucially, they learn how to break down a problem into logical steps. These sessions last from 1 hour to 90 minutes. Whilst BASIC is not used to program computers anymore, it is still a fantastic way to learn to code. Why? Because it is ... basic! It's easy to read and understand, and with just a couple of lines of code you can have the computer displaying your name across the screen! If you can understand BASIC you can apply the same methodology to any modern language. Additionally, using the BBC Micro, the students gain an understanding of how programming environments and tools have progressed. 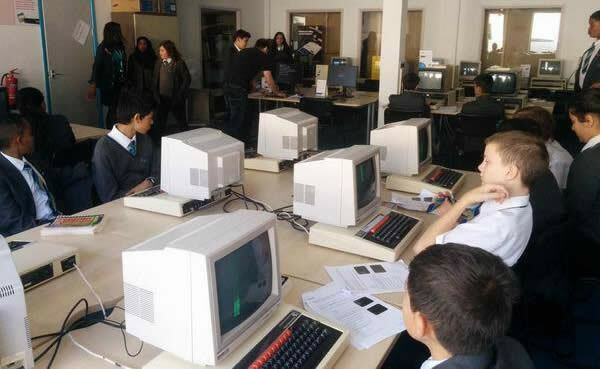 Students learning to code using our BBC Micro computers and original green screen monitors! We will need about 2 hours to set-up the computers and about 1 hour to pack them away again at the end of the day. We will require one room for the duration of the day (it's not easy to move the computers around). We will also require at least 5 mains plug sockets and 10 clear desks. All of our equipment and cables are PAT tested. The designated classroom MUST be on the ground floor. We use trolleys to bring the heavy machines in and these cannot be taken up stairs. If there is lift access then non-ground floor classrooms are feasible but this does add significantly to the set-up time. For schools located more than 60 miles from the museum we will travel to your location the day before we are due. In this situation, if possible, we prefer to set-up the day/afternoon or evening before so there is minimal rushing about on the morning of the workshops. For two or more schools in one area that book workshops on consecutive days , we offer BOTH schools a discount due to fuel savings. Please note that the bookings must be for consecutive days and must be pre-agreed with the other local schools before booking. 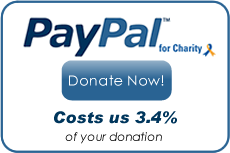 Please be aware that this cost calculation is for guideline purposes only. 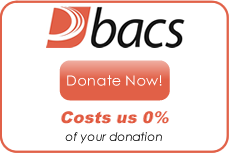 In most cases the costs are accurate, but will need to be confirmed with our education team prior to booking. You will be invoiced at the time of booking which must be paid in full 14 days before the event date. Cancellations cannot be made once the invoice is paid.